In the early morning hours of Tuesday, July 31, the planet Mars will swing the closest to Earth it has been since 2003. The Red Planet will be a mere 36 million miles away, slightly cozier than its average passing distance of about 50 million miles. 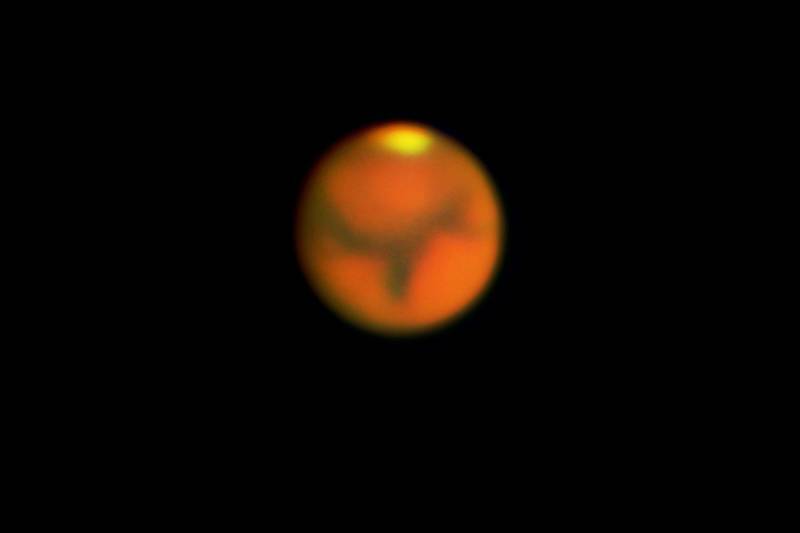 This is almost as close as Mars can possibly get, making it three or four times brighter than on average close encounters, offering a rare opportunity for spectacular views of our neighboring planet. Mars' sheer brilliance at the end of the month will be enough to delight the casual viewer. 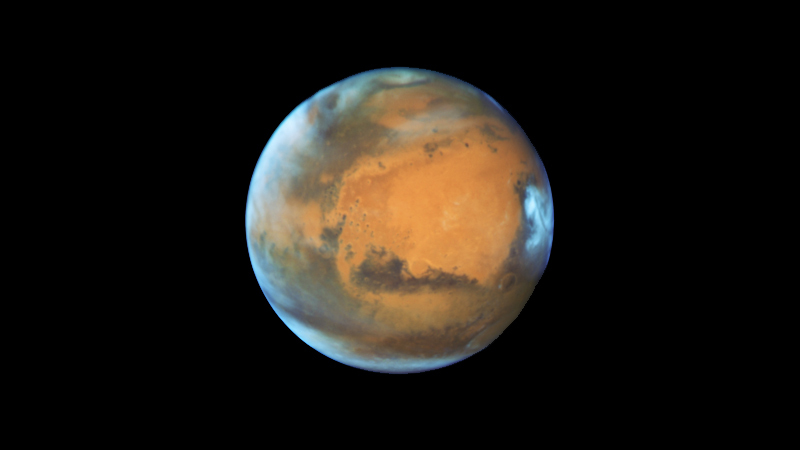 On July 30, Mars will rise in the southeast at around 8:30 p.m., gradually moving west and climbing higher as the night goes on. By 1:00 a.m. on July 31, Mars will reach its highest point in the sky for the night, about 26 degrees above the horizon, and located due south. While a casual glance at Mars will surly take your breath away, to see more you'll need a good pair of binoculars, or better still, a small telescope. The more powerful the scope, the larger Mars' rusty disk will appear. If you want to see Mars through bigger telescopes, check out what might be happening at a local observatory or citizen star party. Chabot Space & Science Center in Oakland is hosting a Mars viewing party, featuring its large historical telescopes. The party starts at 10:30 p.m. on Monday July 30 and runs until 2:30 a.m. the next morning. Check the website for details. Small telescopes can resolve Mars' rusty red disk, and larger ones can reveal features on its surface. 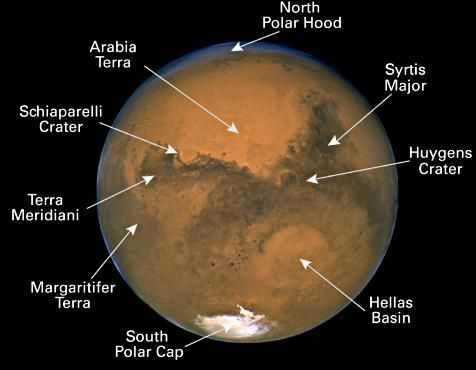 Currently, Mars' southern hemisphere is in view from Earth. Its large polar ice cap stands out as the most prominent feature. You may also see light and dark areas formed by different terrains on Mars: lighter colored rugged highlands and darker smooth lowlands. Some of those flat lowlands were probably covered in water long ago, wide shallow seas in Mars' more Earth-like youth. Look also for the major dust storm happening now on Mars. The storm started blowing several weeks ago in the region where the rover Opportunity is exploring and has since expanded to cover most of the planet. This might make viewing surface features more of a challenge, but at least the reason for it is fascinating! 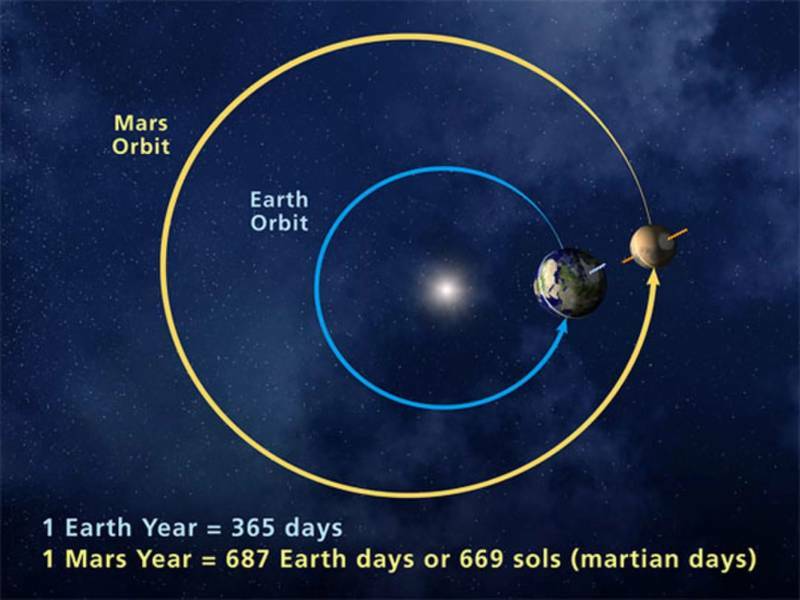 The distance between Earth and Mars at closest approach is determined by the shape and timing of their orbits around the sun. The shapes are ellipses: each planet travels around the sun on an elliptical path, with the sun closer to one end of the ellipse than the other. The point in a planet's orbit closest to the sun is called perihelion. It's opposite number is aphelion, its farthest point from the sun. Mars' orbit is a particularly elongated ellipse, and the difference between its perihelion and aphelion is a whopping 23 million miles. The timing is set by the planets' orbital speeds. Earth is closer to the sun and moves faster, passing Mars on the inside lane of this celestial racetrack every 26 months, an event called Mars Opposition (literally, the moment when Mars is at the opposite end of the sky from the sun). This year, Opposition occurs on July 27, a few days before closest encounter. Every 15 to 17 years, the close encounter between Earth and Mars coincides with Mars at perihelion, so the Red Planet is much closer than usual — like this year. Mars hasn't been this close since 2003. In October 2020 it will come almost as close (about 41 million miles). But, it won't be as close until September 2035 — so now is a great time to check it out.